Johnson also helped to design the Lockheed AQM-60 Kingfisher a decade before the famous SR-71. The Kingfisher was a highly successful single engine Mach 4.3 capable Ramjet composed mainly of steel, which was used to test American air defenses against nuclear missiles. The information and experience Johnson gained was later used to produce the A-12 spy plane for the Central Intelligence Agency. Johnson then used the combined knowledge of the Kingfisher and A-12 to produce the SR-71 Blackbird. Kelly Johnson and Gary Powers in front of a U-2. Kelly Johnson was born in the remote mining town of Ishpeming, Michigan. His parents were Swedish, from the city of Malmö, county of Scania. Kelly was ashamed of his family's poverty, and vowed to return one day in prominence. Johnson was 13 years old when he won a prize for his first aircraft design. He worked his way through Flint Central High School and graduated in 1928, then went to Flint Junior College, now known as Mott Community College, and finally to the University of Michigan in Ann Arbor, where he received a Bachelor's and Master's Degree in Aeronautical Engineering. While attending grade school in Michigan, he was ridiculed for his name, Clarence. Some boys started calling him "Clara". One morning while waiting in line to get into a classroom, one boy started with the normal routine of calling him "Clara". Johnson tripped him so hard the boy broke a leg. The boys then decided that he was not a "Clara" after all, and started calling him "Kelly". The nickname came from the popular song at the time, "Kelly With the Green Neck Tie". Henceforth he was always known as "Kelly" Johnson. In 1937, Johnson married Althea Louise Young, who worked in Lockheed's accounting department; she died in December 1969. In May 1971, he married his secretary Maryellen Elberta Meade of New York; she died after a long illness on October 13, 1980, aged 46. He married Meade's friend Nancy Powers Horrigan in November 1980. His autobiography, titled Kelly: More Than My Share of it All, was published in 1985. Johnson died at the age of 80 at St. Joseph Medical Center in Burbank after an undisclosed illness that lasted for several years. He is buried at Forest Lawn Cemetery, Los Angeles, California. Kelly Johnson participated in the design of the Lockheed Model 10 Electra, testing a model with a single vertical stabilizer in the wind tunnel of the University of Michigan. 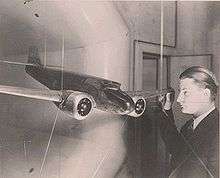 At the University of Michigan, Johnson conducted wind tunnel tests of Lockheed's proposed twin-engined Lockheed Model 10 Electra airliner. He found that the aircraft did not have adequate directional stability, but his professor felt it did and reported so to Lockheed. Upon completing his master's degree in 1933, Johnson joined the Lockheed Company as a tool designer on a salary of $83 a month. Shortly after starting at Lockheed, Johnson convinced Hall Hibbard, the chief engineer, that the Lockheed Model 10 Electra was unstable. Hibbard sent Johnson back to Michigan to conduct more tests. Johnson eventually made multiple changes to the wind tunnel model, including adding an "H" tail, to address the problem. Lockheed accepted Johnson's suggestions and the Model 10 went on to be a success. This brought Johnson to the attention of Lockheed management, and he was promoted to aeronautical engineer. After assignments as flight test engineer, stress analyst, aerodynamicist, and weight engineer, he became chief research engineer in 1938. In 1952, he was appointed chief engineer of Lockheed's Burbank, California plant, which later became the Lockheed-California Company. In 1956 he became Vice President of Research and Development there. Johnson became Vice President of Advanced Development Projects (ADP) in 1958. The first ADP offices were nearly uninhabitable; the stench from a nearby plastic factory was so vile that Irv Culver, one of the engineers, began answering the intra-Lockheed "house" phone "Skonk Works!" In Al Capp's comic strip Li'l Abner, Big Barnsmell's Skonk Works — spelled with an "o" — was where Kickapoo Joy Juice was brewed. When the name "leaked" out, Lockheed ordered it changed to "Skunk Works" to avoid potential legal trouble over use of a copyrighted term. The term rapidly circulated throughout the aerospace community, and became a common nickname for research and development offices; however, reference to "The Skunk Works" means the Lockheed ADP department. Here, the F-104 Starfighter and the secret reconnaissance planes U-2 and SR-71 Blackbird were developed. Johnson led or contributed to the development of a number of aircraft. A few examples illustrate the influence of his work. In the late 1930s, Johnson helped lead the team that developed the P-38 Lightning. Eventually, almost 10,000 of these fighters were built. They played a significant role in World War II. In 1943, responding to United States Army Air Forces' concerns about Nazi Germany's development of high performance jet fighters, Johnson proposed to develop a jet airplane in six months. The result, the P-80 Shooting Star, was completed on time and became America's first operational jet fighter. The need to find space to develop the P-80 also led to the creation of the facility that would later be called the Skunk Works. Johnson also led the development of the SR-71 Blackbird family of aircraft. Through a number of significant innovations, Johnson's team was able to create an aircraft that flew so high and fast that it could neither be intercepted nor shot down. No other jet airplane has matched the Blackbird's performance. In 1955, at the request of the Central Intelligence Agency, Johnson initiated construction of the airbase at Groom Lake, Nevada, later known as Area 51. This project provided a secret location for flight testing the Lockheed U-2. He served on Lockheed's board of directors from 1964 to 1980, becoming a senior vice president in 1969. He officially retired from Lockheed in 1975 and was succeeded by Ben Rich, but continued as a consultant at the Skunk Works. In June 1983, the Lockheed Rye Canyon Research and Development Center in Santa Clarita was renamed Kelly Johnson Research and Development Center, Lockheed-California Company, in honor of Johnson's 50 years of service to the company. A number of factors contributed to Johnson's extraordinary career. He was a very talented designer and engineer. For instance, he could quickly and accurately estimate design characteristics such as mass, characteristics that usually were determined through long calculations. He was also ambitious and an excellent salesman, aggressively promoting ideas while also earning others' trust. In addition, he created teams and a work environment where creativity and productivity could flourish. 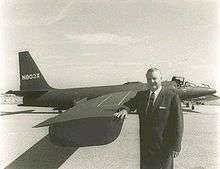 Kelly Johnson with an early variant of the U-2. While at Lockheed, Johnson designed the P-38 Lightning fighter, made Fowler flaps work on the Model 14 Super Electra, and played a major role in converting the type into the Royal Air Force's Lockheed Hudson on short notice in 1938. He worked on the development of the Constellation for Howard Hughes' TWA airline. Model 9D Orion, First airliner with retractable landing gear, faster than any known military aircraft of the time. Won 1937 Harmon Trophy. Model 10 Electra, flown by Amelia Earhart on her ill-fated around-the-world expedition in 1937. First aircraft to perform round trip commercial flight over Atlantic Ocean. Model 12 Electra Junior, upgraded version of Model 10. Used to prove wing deicing using engine exhaust, as well as testing of twin engine aircraft aboard aircraft carriers. Used by British intelligence to spy on pre-war Nazi Germany. Won 1937 Bendix Trophy. Model 14 Super Electra Upgrade variant of Model 10. In 1938, completed world record flight of 15,441 mi (24,850 km). PV-1 Ventura, militarized version of Model 18. Would often lead B-24 bomber formations, due to being equipped with its own search radar unit. Used in both Pacific and European theater, including bombing raids on Germany, and hunting enemy submarines. P-38 Lightning, the first U.S. fighter to exceed 400 mph (640 km/h; 350 kn), and the aircraft which killed Admiral Isoroku Yamamoto. Holds record for longest interception mission of World War II. Constellation family, first family of pressurized airliners. Used in various military roles, including transporting President Eisenhower, and General MacArthur. L-049 Constellation First version of Constellation, first four engine aircraft produced by Lockheed. Upon its first flight, the chief test pilot remarked, "This machine works so well that you don't need me anymore!" C-69 Constellation, military transport version of the Constellation. Only one served during World War II, as a troop and VIP carrier. L-649 Constellation, improved L-049 which included overhead sleeping berth, as well as a removable cargo bay, the "Speedpak". L-749 Constellation, improved L-649. Larger fuel capacity, strengthened landing gear, and eventually weather radar. C-121/R7O/R7V Constellation, military version of L-749. Used as radar warning AWACS aircraft. President Dwight Eisenhower and General Douglas MacArthur both used the C-121A as their personal VIP transports. Also used as a freighter. PO-1W/WV-1 Warning Star, airborne early warning (AEW) variant of the C-121, used to supplement the Distant Early Warning Line. EC-121s were also used for intelligence gathering. L-1049 Super Constellation, stretched version of the Constellation, modified into several military variants. PO-2W/WV-2/WV-3/EC-121 Warning Star. AEW variant, used along with picket ships to warn of incoming Soviet bomber attacks. YC-121F/R7V-2 Constellation, experimental turboprop military transport. L-1649 Starliner, last model of the Lockheed Constellation line. Powered by four Wright R-3350 TurboCompound engines. F-80 Shooting Star, the first successful American jet fighter. First west-to-east Atlantic crossing by single-engined jet. T-33 and TV-2, trainer versions of F-80. P2V Neptune, anti-submarine bomber. Temporarily kept aboard aircraft carriers to use as a stop gap, one use, nuclear bomber. Incapable of landing on aircraft carrier after launch. XF-90, prototype penetration fighter. First USAF jet with an afterburner and the first Lockheed jet to fly supersonic. F-94 Starfire, first operational USAF fighter equipped with an afterburner and the first jet-powered all-weather fighter to enter combat. X-7, testbed for ramjet engines and missile guidance technology. Dropped from B-52 and assisted by rocket on initial flight phase, exceeded Mach 4. F-104 Starfighter, first Mach 2 fighter to enter service. With its GE J79 engine, it won the 1958 Collier Trophy for its Lockheed and GE technical achievement. F-117A Nighthawk, first operational stealth aircraft. C-130 Hercules, turboprop military transport. Longest continuous production run of any military aircraft in history. Over 40 models serving in at least 60 nations. U-2, high altitude intelligence gathering aircraft. Blackbird family: A-12, YF-12, SR-71, M-21, and D-21. First family of operational Mach 3 aircraft. Composed almost entirely of titanium. The CIA M-21 was capable of launching a Mach 3 drone, known as the D-21. The YF-12 interceptor version was capable of launching a Mach 4 version of the AIM-47 Falcon missile, capable of hitting bombers flying at extremely low altitude. Johnson's second Collier Trophy (1963). JetStar/C-140, first dedicated business jet to enter service. Kelly had a 15th rule that he passed on by word of mouth. According to the book "Skunk Works" the 15th rule is: "Starve before doing business with the damned Navy. They don't know what the hell they want and will drive you up a wall before they break either your heart or a more exposed part of your anatomy." 1932 (September) Sheehan Fellowship in Aeronautics, at the University of Michigan. 1937 Lawrence Sperry Award, Presented by the Institute of Aeronautical Sciences for "Important improvements of aeronautical design of high speed commercial aircraft." 1940 The Wright Brothers Medal, presented by SAE for "Rudder control problems on four-engined airplanes." 1956 The Sylvanus Albert Reed Award, presented by the Institute of Aeronautical Sciences, for "Design and rapid development of high performance subsonic and supersonic aircraft." 1956 Elected Aviation Man of the Year by a group of Aviation writers and editors appointed by the Airlines Activities Committee, representing 7,000 airline employees. 1958 Elected Distinguished Member of the Jet Pioneers Association of U.S.A.
1959 Co-Recipient of the Collier Trophy as designer of the airframe of the F-104 Starfighter, sharing the honor with General Electric (J79 engine) and U.S. Air Force (Flight Records). The F-104 was designated the previous year's "Greatest achievement in aviation in America." 1960 The General Hap Arnold Gold Medal, presented by the Veterans of Foreign Wars for "Design of the U-2 high altitude research plane." 1961 Chosen as one of 50 outstanding Americans of meritorious performance in the fields of endeavor, to be honored as a Guest of Honor to the first annual banquet of the Golden Plate. Honor was awarded by vote of the National Panel of Distinguished Americans of the Academy of Achievement of Monterey, California. 1963 The Theodore von Karman Award, presented by the Air Force Association for "Designing and directing development of the U-2, thus providing the Free World with one of its most valuable instruments in the defense of freedom." 1963 Elected an Honorary Member of the Aerospace Medical Association, in appreciation of his sincere and effective interest and activities in behalf of their work. 1964 The Medal of Freedom, presented by President Lyndon B. Johnson in ceremonies at the White House. The highest civil honor the President can bestow, this recognizes "Significant contributions to the quality of American life." Johnson was cited for his advancement of aeronautics. 1964 The Award of Achievement, presented by the national Aviation club of Washington D.C., for "Outstanding achievement in airplane design and development over many years, including such models as the Constellation, P-80, F-104, JetStar, the U-2, and climaxed by the metallurgical and performance breakthroughs of the A-11 (YF-12A). 1964 The Collier Trophy (his second), following his work on the YF-12 Interceptor, capable of flying at more than 2,000 mph. His achievement for the previous year was called the greatest in American aviation. 1964 The Theodore von Karman Award (his second), presented by the Air force Association for his work with the A-11 (YF-12A) Interceptor. 1964 Honorary degree of Doctor of Engineering, University of Michigan. 1964 Honorary degree of Doctor of Science, University of Southern California. 1965 Honorary degree of Doctor of Laws, University of California at Los Angeles. 1965 San Fernando Valley Engineer of the Year, so designated by the San Fernando, California, Valley Engineers Council. 1965 Elected a Member of the National Academy of Engineering. 1965 Elected a Member of the National Academy of Sciences. 1965 Selected as one of the first 20 men to be included in the International Aerospace Hall of Fame in San Diego, California. 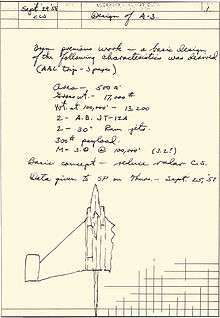 1966 The Sylvanus Albert Reed Award (his second) given by the American Institute of Aeronautics and Astronautics "In recognition of notable contributions to the aerospace sciences resulting from experimental or theoretical investigations." 1966 National Medal of Science, presented by President Lyndon B. Johnson at the White House. 1966 The Thomas D. White National Defense Award, presented by the U.S. Air Force Academy in Colorado Springs, Colorado, in recognition of "your great contributions to the national defense and security of the United States"
1967 Elected Honorary Fellow of American Institute of Aeronautics and Astronautics. 1968 Elected a Fellow of the Royal Aeronautical Society. 1969 The General William Mitchell Memorial Award, presented by the Aviators Post #743 of the American Legion. 1970 Awarded the Spirit of St. Louis Medal by the American Society of Mechanical Engineers. 1970 On behalf of Lockheed's Advanced Development Projects facility, which he directed until his retirement in 1975, accepted the first annual Engineering Materials Achievements Award of the American Society for Metals. 1970 The Engineering Merit Award-Presented by the Institute for the Advancement of Engineering, Beverly Hills, California. 1970 Honored by the Air Force Association, Washington D.C., for design of the P-38 Lightning. 1971 Awarded the Sixth Annual Founders Medal by the National Academy of Engineering (NAE) at the Statler-Hilton Hotel, Washington D.C.. in recognition of his fundamental contributions to engineering. 1972 Awarded the Silver Knight Award by the Lockheed Management Club of California at the Hollywood Palladium for his contributions to Lockheed's success. 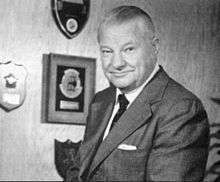 1973 Awarded the first "Clarence L. "Kelly" Johnson Award" by The Society of Flight Test Engineers in Las Vegas, Nevada, for his contributions to aviation and flight test engineering. 1973 Civilian Kitty Hawk Memorial Award by Los Angeles Area Chamber of Commerce for his outstanding contributions in the field of aviation. 1974 Air Force Exceptional Service Award for his many outstanding contributions to the United States Air Force. Presented by the Secretary of the Air force, John McLucas. 1974 Enshrined in the National Aviation Hall of Fame in Dayton, Ohio for his outstanding contributions to aviation. 1975 Awarded the Central Intelligence Agency's Distinguished Intelligence Medal for his work on reconnaissance systems. 1975 Awarded the Wright Brothers Memorial Trophy for his vital and enduring contributions over a period of 40 years to the design and development of military and commercial aircraft. 1978 The American Institute of Aeronautics and Astronautics presented "A Salute to Kelly Johnson" night. 1980 Awarded the Bernt Balchen Trophy, the highest award of the New York State Air Force Association. The trophy is presented annually to "An individual of national prominence whose contribution to the field of aviation has been unique, extensive or of great significance." It followed announcement of the A-12. 1981 Presented the Department of Defense Medal for Distinguished Public Service. Presented by Harold Brown. 1981 Honored by the Society of Automotive Engineers (SAE) for his ability to motivate a small staff to work within a tight time frame and budget in creating revolutionary aircraft design. 1981 The U.S. Air Force creates the "Kelly Johnson Blackbird Achievement Trophy" to recognize the individual or group who has made the most significant contribution to the U-2, SR-71 or the TR-1 Program since the previous annual reunion. 1981 The Daniel Guggenheim Medal, "For his brilliant design of a wide range of pace-setting, commercial, combat and reconnaissance aircraft, and for his innovative management techniques which developed these aircraft in record time at minimum cost." 1982 The Meritorious Service to Aviation Award from National Business Aircraft Association, recognizing design of more than 40 aircraft, including the world's first business jet, the JetStar. 1983 The Aero Club of Southern California presented the Howard Hughes Memorial Award for 1982 to C. L. "Kelly" Johnson as a leader in aviation. The recipient must have devoted a major portion of his life to the pursuit of aviation as a science and as an art. Engraved on the medal was the sentence: "His vision formed the concept, His courage forged the reality". 1983 The National Security Medal was presented by President Ronald Reagan to Clarence L. Johnson for "Exceptional meritorious service performed in a position of high responsibility and have made an outstanding contribution to the National Security of the Nation". 1984 Honorary Royal Designer for Industry (HonRDI), in recognition of achievements in aircraft design, conferred by the Royal Society for the encouragement of the Arts, Manufacturers, and Commerce, London. 2003 Listed at number eight in Aviation Week's "All-Time Top 100 Stars of Aerospace and Aviation". 2013 Listed at number 23 in Flying Magazine's "51 Heroes of Aviation. Member of Tau Beta Pi, the Engineering Honor Society. 1 2 Parker, Dana T. (2013). Building Victory: Aircraft Manufacturing in the Los Angeles Area in World War II. Cypress, CA. p. 59. ↑ Bennis, Warren & Biederman, Patricia Ward (1997). Organizing Genius: The Secrets of Creative Collaboration. Perseus Books. 1 2 "All-Time Top 100 Stars of Aerospace and Aviation Announced". Your Space Reference. June 18, 2003. Retrieved April 30, 2015. ↑ Wilson, Jim (September 1999). "Skunk Works Magic". Popular Mechanics. 176 (9): 60. ISSN 0032-4558. Archived from the original on March 8, 2010. ↑ "National Aviation Hall of Fame". National Aviation Hall of Fame. Retrieved April 30, 2015. ↑ Garrison, Peter (March 2010). "Head Skunk". Air & Space. 24 (7): 33–34. ↑ Partly supported by "Clarence 'Kelly' Johnson: Architect of the Air". Lockheed Martin. Retrieved April 26, 2015. The young engineer’s name was Clarence Johnson, but ever since he’d trounced a local bully in grade school, he went by the more defiant nickname: 'Kelly,' which suited his fierce and pugnacious personality. ↑ Johnson, Clarence L. 'Kelly' & Smith, Maggie (1985). Kelly: More Than My Share of It All. Foreword by Leo P. Geary. Washington, D.C.: Smithsonian Institution. p. 159. ISBN 0874745640. ↑ Johnson, Clarence L. 'Kelly' & Smith, Maggie (1985). Kelly: More Than My Share of It All. Foreword by Leo P. Geary. Washington, D.C.: Smithsonian Institution. ISBN 0874745640. ↑ "Kelly Johnson, Design Pioneer of Lockheed Aircraft, Dies". Los Angeles Times. December 22, 1990. Retrieved April 30, 2015. ↑ Garrison, Peter (March 2010). "Head Skunk". Air & Space. 24 (7): 34. ↑ "Skunk Works Origin Story". Lockheed Martin. Retrieved February 24, 2014. ↑ "P-38 Lightning". Lockheed Martin. Archived from the original on October 19, 2007. Retrieved February 24, 2014. ↑ Parker, Dana T. (2013). Building Victory: Aircraft Manufacturing in the Los Angeles Area in World War II. Cypress, CA. pp. 59–76. ↑ Garrison, Peter (March 2010). "Head Skunk". Air & Space. 24 (7): 34–35. ↑ Garrison, Peter (March 2010). "Head Skunk". Air & Space. 24 (7): 35–36. ↑ Garrison, Peter (March 2010). "Head Skunk". Air & Space. 24 (7): 36–37. ↑ Rich, Ben & Janos, Leo (1996). Skunk Works. Little, Brown & Company. ISBN 0-316-74300-3. ↑ Garrison, Peter (March 2010). "Head Skunk". Air & Space. 24 (7): 38. ↑ Garrison, Peter (March 2010). "Head Skunk". Air & Space. 24 (7): 35. ↑ Garrison, Peter (March 2010). "Head Skunk". Air & Space. 24 (7): 37–38. ↑ Clarence Leonard (Kelly) Johnson 1910—1990: A Biographical Memoir (PDF), by Ben R. Rich, 1995, National Academies Press, Washington, DC, p. 13. ↑ "Kelly's 14 Rules & Practices". Lockheed Martin. Retrieved February 24, 2014. ↑ Rich, Ben R.; Janos, Leo. Skunk Works: A Personal Memoir of My Years of Lockheed. Retrieved August 16, 2013 – via Google Books. ↑ "51 Heroes of Aviation". Rich, Ben. "Clarence Johnson" (PDF). National Academy of Science. Wikimedia Commons has media related to Kelly Johnson (engineer). Kelly Johnson's rules for Skunk Works aircraft.